Criminal law encompasses a wide scope of charges. Many types of crimes fall under the criminal law category. Simply traffic stops and civil disputes are not considered criminal law. Rather, criminal charges are those that have the potential to incarcerate you and tarnish your good name. 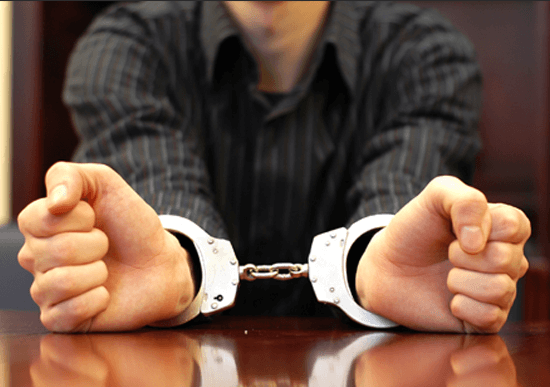 Therefore, if you’ve been charged with a criminal charge in Minnesota, you’ll want to enlist the services of an experienced criminal defense attorney. Before you do that, it might be helpful to learn a bit more about some of the different types of criminal defense so that you can select a lawyer who specializes in the type of representation that you need. According to the Minnesota Sentencing Guidelines Commission, the number of inmates sentenced to prison for drug crimes has tripled from 1998 to 2005. The Committee also reported that nearly 40,000 people died annually in 2013 due to a drug overdose. This astonishing overdose rate has prompted states like Minnesota to impose harsher penalties on those convicted of drug crimes, so if you find yourself facing drug charges, it’s imperative that you have legal representation on your side. An attorney can evaluate the circumstances surrounding your case to determine whether or not the State can prove that you were indeed in possession of illegal drugs and if you had the intent to do what the State claims you did. In any case, an attorney can strive to get you the most favorable outcome for your charges. According to the Twin Cities Pioneer Press, domestic abuse claimed the lives of 24 people in 2017. Domestic abuse has become an issue that states no longer take lightly. In most cases, if law enforcement is called to your residence with claims of domestic abuse, somebody is taken to jail. You might not actually be guilty of domestic abuse, though. Maybe an over anxious neighbor placed the call, or a verbal misunderstanding really did get out of hand. The consequences for domestic abuse convictions include incarceration, fines, fees, anger management therapy and loss of your privilege to ever own a firearm again. A lawyer can help you fight domestic abuse charges and possibly get them dropped or reduced. Robbery, burglary, and theft are all serious matters in the eyes of the law. They involve taking property that doesn’t belong to you and unlawfully breaking into places you were not given permission to be. However, someone being suspicious is not enough to convict you. Just because you’re accused of theft or robbery doesn’t mean that you are guilty. The State must offer enough evidence to prove that those claims are true before they can convict you. An experienced attorney can evaluate the evidence to determine what kind of case you have. Just like domestic abuse is taken seriously, so are assault and violence charges. The difference between domestic violence and just violence is that in order to be domestic, the violence is done to family or people within your household. You can face assault charges for getting into fights with other people too, but an attorney can help you fight those charges. Justin Schiks is a criminal defense attorney in Minnesota who is experienced at handling all these types of charges. Contact Justin Schiks today if you’re in need of criminal defense representation.